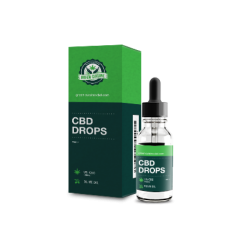 CBD Drops - 10ml is sold for research purposes only and is not be utilized for any other purposes, including, but not limited to, in vivo diagnostic purposes, in foods, in drugs, in medicinal devices, and/or cosmetics for humans and/or animals. CBD Drops - 10ml is legal in our country of origin. It is your responsibility to know and abide by the laws in your country/county/region/state/city. We accept no responsibility for any actions or consequences that are a result of your decision to order.